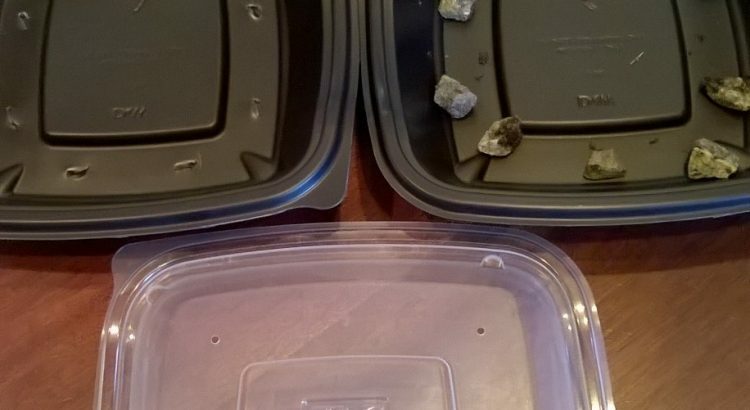 I had some plastic food containers that I had collected to recycle. They reminded me of tomato seed starters I had purchased several years ago so I put them aside. I punched holes in one of the black containers and placed rocks in the other to elevate the first one which will contain the soil and seeds. The rocks will elevate the soil container and allow for the collection of water draining. The clear plastic lid will allow sunlight to come through and keep moisture in to enable seed growth.